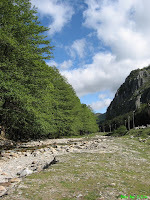 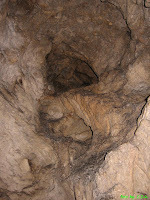 Women's Cave (Peştera Muierii/Muierilor) is located in the village of Baia de Fier, near the gorges of the Galben (Yellow) Stream. 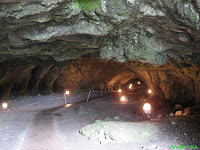 The exact location is this. 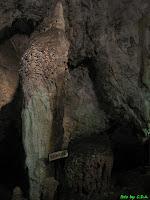 Made by the Galben River in the Mesozoic era, the cave gets its name from the fact that it used to shelter the women and children during wars. 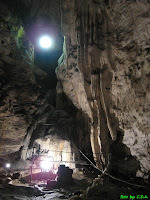 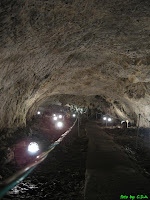 Almost 3600 meters long, the cave has four levels, but only an 800 meter section (with electricity) can be visited. 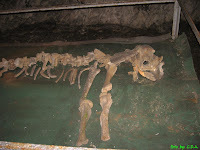 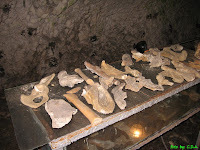 Inside the cave were discovered both human and animal remnants, among which is a well preserved cave bear skeleton. 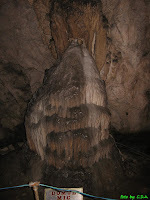 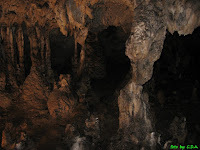 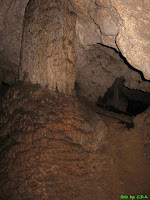 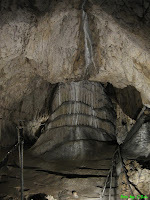 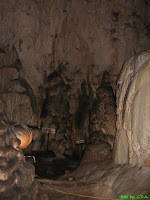 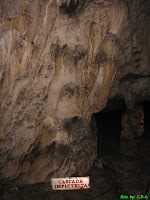 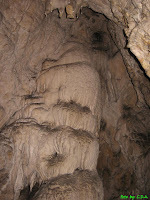 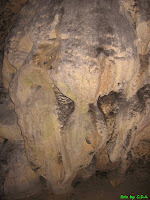 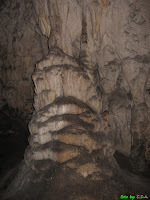 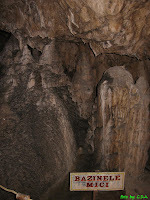 There are also interesting stalactite and stalagmite formations as well as bat colonies. 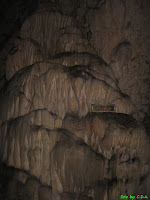 Some of the main limestone/calcium formations are the Altar Chamber, Altar Gate, the Small Basins and the Large Basins, the Turk’s Chamber, the Chamber of Wonders, the Guano Chamber or the Bear's Gallery. 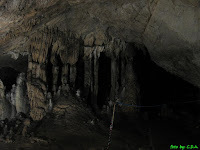 Regarding the actual visit, the entrance is different from the exit and the guide enters the cave hourly with groups of at least four persons. 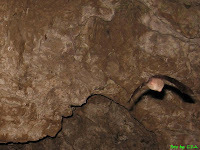 Be advised that it's actually a timed visit. 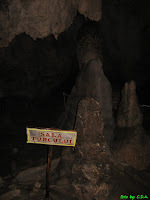 You're rushed through the cave (even if you wanted to take pictures - a separate photo fee being paid) so that it takes around half an hour a visit. 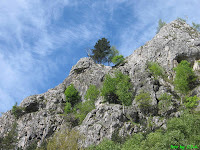 This is to be expected since that guy needs some time for himself too, doesn't he ?! 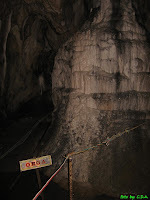 Anyway it might depend on the guide person/time of the year/his other businesses. 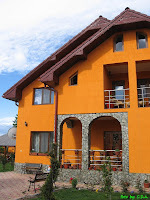 Fortunately that guy's hastiness (that made me angry) was compensated by the hospitality from Pensiunea Andreea (i'm not used to advertise, but this is indeed a very nice place to stay because of the accommodations and the hosts). 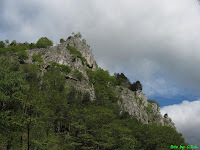 A few km away one can also visit the Polovragi cave (not opened for visits every day - and I couldn't enter on Thursday) and monastery, near the gorges of the Olteţ river.